Food Link, Inc. is one of the largest hunger and emergency relief organizations in Anne Arundel County providing a safety net for people in need. Without delay or judgment, Food Link responds to those facing a crisis and offers immediate assistance and other resources to help. 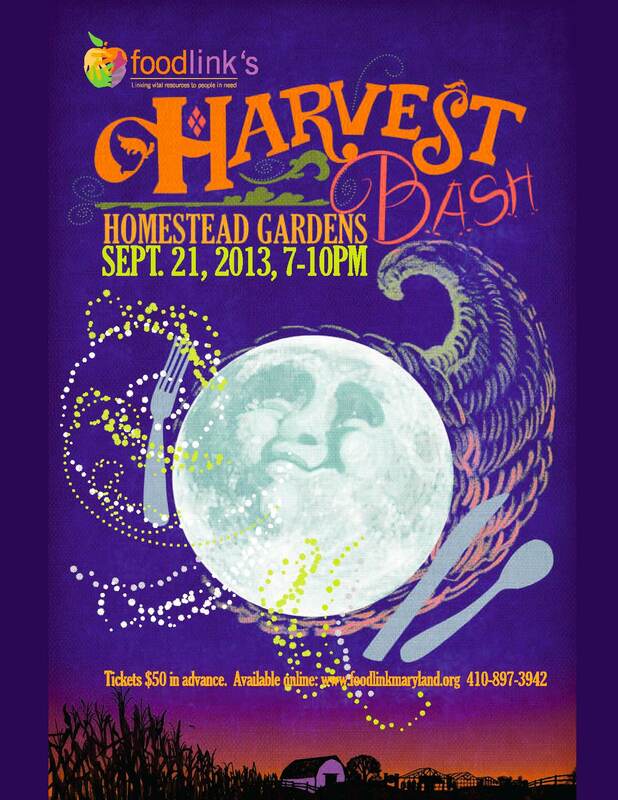 The Harvest Bash, benefiting Food Link, Inc., will be held from 7pm-10pm, on Saturday, September 21st, 2013, at Homestead Gardens in Davidsonville, MD. The funds raised from The Harvest Bash will ensure the integrity of the Food Link network of programs, currently serving over 40,000 individuals in need each month in Anne Arundel County. Tickets are $50 and include catering by Saucy Salamander, dessert, beer and wine. Attendees will enjoy music by the band “Fren-z”, a silent auction, photo booth and special discounts will be available at the Homestead Gardens nursery and garden center. Dress is casual. For ticket information, please contact either Cathy Bird, Executive Director at [email protected], 410.897.3942 or Paula Gordon, Director of Operations, at [email protected], 410-897-3941. Tickets may be purchased online at www.foodlinkmaryland.org.